To those involved in the cooking contest world, Lauren Katz needs no introduction. Lauren is very well-known and beloved among her fellow competitors. Or even if you have never been a competitive cook, you might have watched Lauren on the ABC show The Great Holiday Baking Show, which Lauren won in 2015. I can still remember watching it and thinking from the very first show that Lauren was going to be the top winner. She’s that good. Lauren has won so many contests, they would be too numerous to list here. Just a couple include winning the Sutter Home Winery Build a Better Burger contest, and being a 2-time Pillsbury Bake-Off contestant. It was at the Pillsbury contest where Lauren learned about Cooking Contest Central, America’s premier website and online community for cooking and recipe contest enthusiasts. 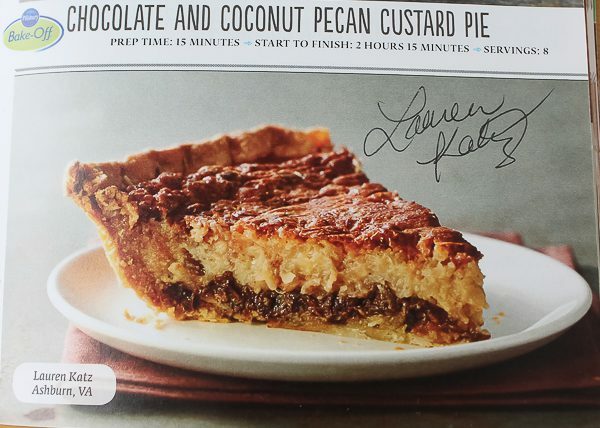 Lauren became the 2017 honoree in the Cooking Contest Central Hall of Fame, which has awarded this coveted title annually since 1999. Cooking Contest enthusiasts are some of the most generous people you will ever meet, and Lauren is no exception. 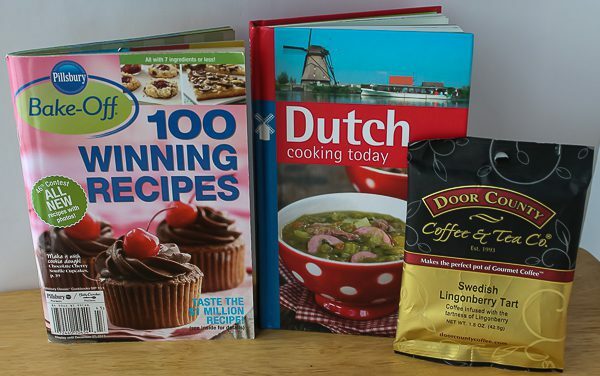 While she was on a European vacation last year with her family, Lauren found a Dutch cookbook that she thought I would like to have to help rebuild my Culinary Cellar after I lost almost all my cookbooks in a flood. In addition, she also sent one of the Bake-Off books with her recipe inside along with a packet of Lingonberry Tart coffee (from another contest she won!) which was delicious. 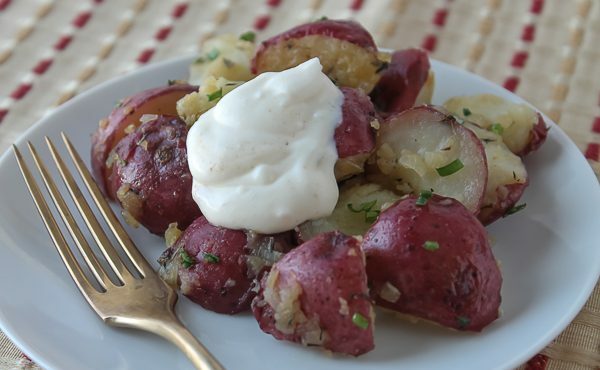 The potatoes were quick and easy to make and so incredibly good! The garlic cream was such a nice addition and wonderful with the pork roast. I loved all the fresh herbs. Not only were the potatoes perfect for the pork roast, but they were also a way to celebrate National Potato Lover’s Month! Thank you for the cookbooks and coffee, Lauren! I know we will be seeing much more of you and your divine recipes in the future. In the meantime, check out Lauren’s blog, Clouds of Cream, with more of her wonderful recipes you can try now. Watch out America – Lauren is in the kitchen! Scrub potatoes. Leaven them unpeeled and cut into equal-sized wedges. Cook for about 7 minutes, or until they are just tender, in boiling water to cover. Drain thoroughly. Heat the butter in a large skillet until it starts to brown. Saute the cooked potatoes, shallots, and thyme about 6-8 minutes over high heat, stirring constantly until browned. Press the cloves of garlic into a small bowl. Stir in the creme fraiche and yogurt; season to taste with salt, pepper, and paprika. Add the chopped parsley and chives to the potatoes and adjust the seasonings. 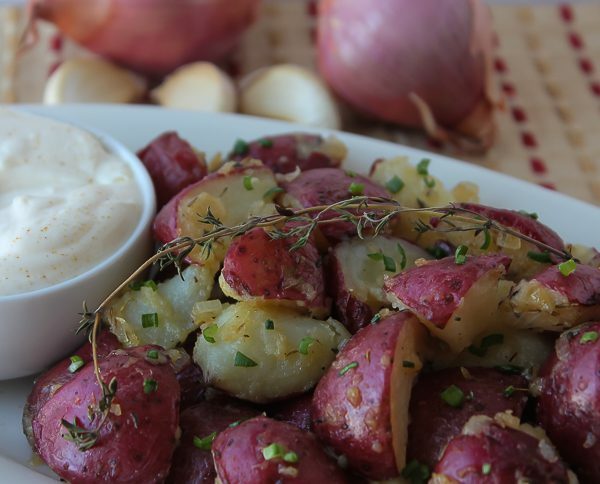 Serve potatoes hot with the garlic cream. 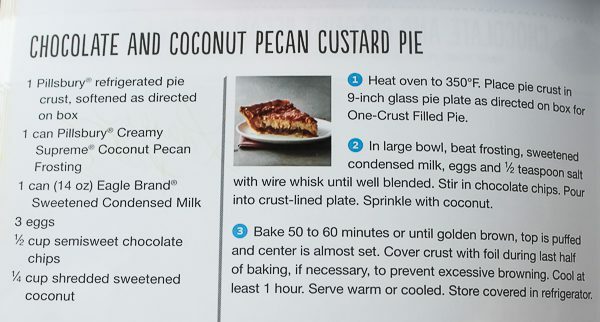 Bonus: Here is one of Lauren’s Pillsbury Bake-Off recipes! Thank you for this latest post you shared! Lauren is the next generation of great cooks. She is beyond creative and her love of recipes and people shines in every dish. Sweet as much inside as she is outside! An amazing baker, fearless, perfectionist which she always gets right, and is there to help others learn when we are interested. Great article and I am so happy you featured her on The Culinary Cellar, Debbie! Thank you, Marie! We are lucky to have Lauren to learn from. She’s a champ!